How to locate and replace Audi Allroad cabin air filter from 1998, 1999, 2000, 2001, 2002, 2003, 2004, 2005, 2006 and 2007. Where is located cabin air filter on 1998-2007 Audi Allroad? Cabin air filter is located outside of the car under windshield cowl. How to replace 1998, 1999, 2000, 2001, 2002, 2003, 2004, 2005, 2006 and 2007 Audi Allroad cabin air filter? Release the cabin air filter retaining tab catches, then fold the tab back. Install the new cabin air filter into the housing with the arrow markings facing downward in the direction of air flow. Fold the filter retaining clip into position and engage the catches. Install the plenum chamber cover. 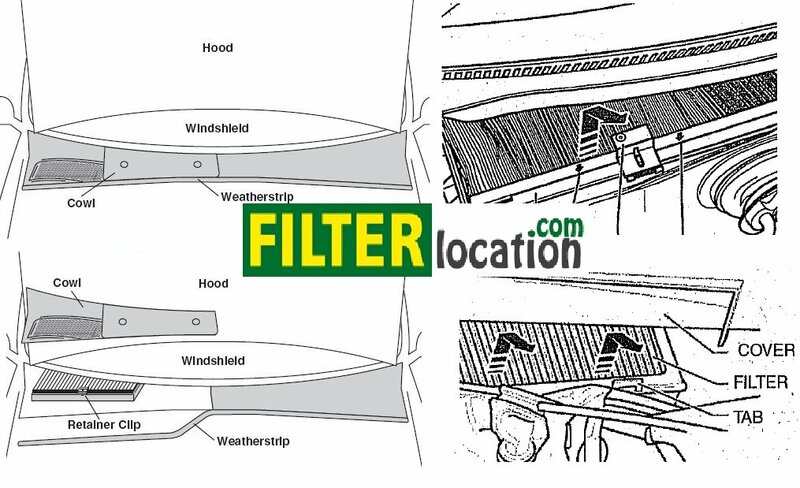 Ensure the plenum chamber cover is properly installed to prevent water from entering in the cabin air filter housing. 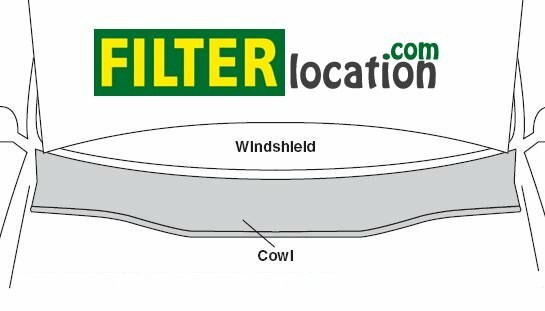 When you need to replace cabin air filter housing cover? On 1998 – 2000 Audi Allroad you need to replace cabin air filter housing cover every 15.000 miles. For 2001, 2002 and 2003 Audi Allroad is recommended to replace cabin air filter every 20.000 miles. For 2004, 2005, 2006 and 2007 the cabin air filter should be replaced first time on 15.000 miles and then you need to change every 20.000 milles.